Hiring people can be brutal. We helped a client hire 3 new positions this month, so we needed a system that would make it easy. Thankfully, we found Workable. Workable improves the entire recruitment process by posting your job to multiple sites, then organizing candidate profiles (it even pulls social media profiles for you!) in one simple pipeline. 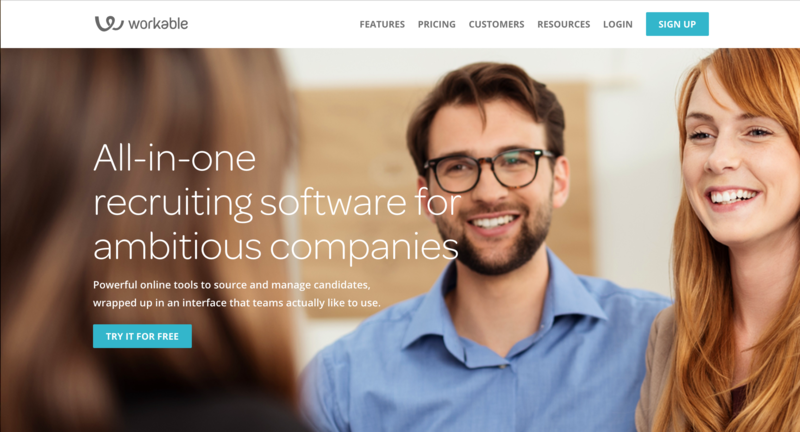 You can track candidates through the application process all the way to an offer letter, or automatically disqualify them by using Workable’s fully-customizable smart candidate screening feature. Click here to try a free 15-day trial of Workable!